Nebraska football fans know the numbers all too well—NU has never lost fewer than four games in Bo Pelini’s six years at the helm in Lincoln, and has failed to win a conference championship since 1999. 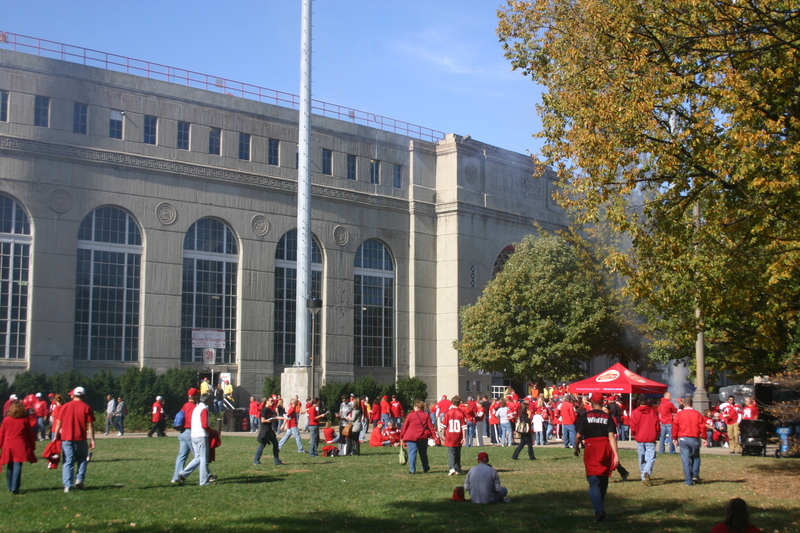 Fixing Nebraska’s field position woes is one key for Nebraska to take that next step and put a new number on the façade of the West Stadium. Based on some great work by Brandon Vogel of Hail Varsity and the mind-blowingly useful FBSDriveStats.com, we can see some concrete data that backs up what most Nebraska fans suspected—NU was making things awfully hard on itself in 2013. All the drive data from here going forward is from FBSDriveStats unless noted otherwise. Two or three yards. Is that really such a big deal? Well, keep in mind that those numbers are the average starting position per drive. Perhaps this will help put it into more perspective. BCFToys.com is an amazingly cool site with some splashy graphs and some fantastic numbers to help understand college football. One of the toys on this site is a graph calculating the average points per possession based on starting field position from 2007-2012. Points on the board, of course, is the ultimate determinative of how well a team is doing. For Nebraska’s average starting field position in 2013, teams averaged 1.7 points per possession from 2007-2012. For the national and league average starting field position, teams averaged 1.9 points per possession. For the best team in the league in average field position in 2013, Penn State which averaged starting 66.3 yards away from the end zone, teams averaged 2.0 points per possession. Again, those look like tiny numbers, a difference of 0.2 or 0.3 points. What does that mean? Well, given that teams averaged 11 drives per game in 2013, that means Nebraska was spotting its opponents 2.2 points per game, and spotting Penn State 3.3 points per game. Wrap your head around that. Nebraska’s field position woes are bad enough that it’s almost like NU gives its opponents a field goal before kickoff. Think that makes winning games harder? One of the neat things about looking at field position as a reason for Nebraska’s struggles is that it takes some of Nebraska’s other problems into consideration. Take turnovers, for example, which just about everyone knows is a problem for Nebraska. Here’s how, in 2013, starting field position and turnovers correlated. Pretty amazing how much the two line up, isn’t it? Seven out of the twelve teams (as highlighted)—over half of the conference—have their starting field position and turnover conference ranks within two of each other. That would suggest what we probably know intuitively—that the more turnovers you have, the worse your average starting field position will be. So maybe a better way to think about it is that fixing field position isn’t necessarily the goal for Nebraska. Instead, field position can be looked at as the indicator to determine if some of the other underlying factors (like turnovers, punt returns, and other areas where Nebraska has struggled) have improved.